Bajaj Auto, India’s third biggest motorcycle maker by sales, on Wednesday launched the new 2018 Bajaj Discover 110 and the refreshed Discover 125 motorcycles in India to boost sales. In fact, The Pune-headquartered motorcycle specialist has revived the Discover 110 cc motorcycle once again to take on the commuter segment more competitively against its archrival Hero MotoCorp and Honda and TVS in the country. While the Discover 110, which was discontinued a few years ago, is an all-new addition to the popular Discover range, the Discover 125 gets some updates and new styling for the 2018 model year. The Bajaj Discover 110 is available in one variant, priced at Rs 50,176 at Delhi showroom. 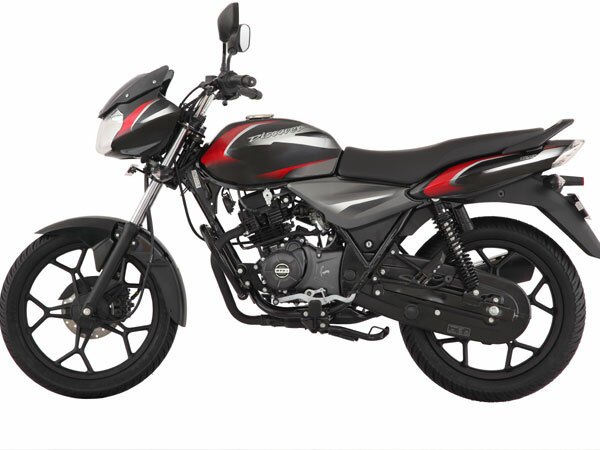 The new Bajaj Discover 110 bike borrows its design from its 125 version. The styling is familiar and conservative while the graphics add a slight modern touch to the motorcycle. The design has been carried over from the larger Discover 125 and is familiar in appearance. The new bit is it includes 5-spoke alloy wheels finished in black and new red and silver body graphics. The lower section of the bike including the suspension and engine are finished in black as well, and add a sporty appeal to the bike. It also gets an analog-digital instrument panel. The new Bajaj Discover 110 is powered by a new advance 4 stroke 115 cc single-cylinder, air-cooled engine. The DTS-i motor is delivers 8.65 BHP and 9.81 Nm of peak torque. It is paired with a 4-speed transmission. Suspension duties are handled by telescopic forks at the front and dual shock absorbers at the rear. Drum brakes are equipped on either side, while the front disc brake has been given a miss. “Bajaj has made a significant impact in the 100 cc segment with the Platina Comfortech and CT 100. The new Discover 110 and 125 bring first time ever features to customers in the 100-125 cc segment for a premium experience,” Eric Vas, president (motorcycles) at Bajaj Auto, said. The Discovers shall attract a whole new set of customers who desire the benefits of modern technology, he added. The Bajaj Discover 125 comes in two variants called Drum brake and Disc brake with a price tag of Rs 53,171 and Rs 55,994 respectively at Delhi showroom. The refreshed Bajaj Discover 125 motorcycle gets a range of feature upgrades including LED DRLs, revised styling, new graphics and more. Power comes from the updated 124.5 cc DTS-I engine that churns out 11 BHP and 11 Nm of peak torque. The long stroke architecture allows to offer abundant torque. The Discover 125 continues with the same suspension that offers more comfort now while braking power includes a front disc and a rear drum. Bajaj also showcased its entire 2018 model range, which include the Pulsars, Avenger range, Platina 100 and the 2018 Dominar 400, all of which will come with a refreshed styling and updates for the 2018 model year. Bajaj Auto is present in two of the three key segments in the Indian motorcycle space – premium and entry level motorcycles with 23 per cent and 25 per cent market share respectively. Bajaj Auto is one of the two market leaders with 31 per cent market share.